I’ll just come right out and say it: one of my top tips for a frugal Spring Break is to travel when no one else is. Of course, that can be difficult since it’s typically the school system that determines when families travel and thus, encourages a price hike throughout the entire travel industry. So other than flying on Tuesdays/Wednesdays, driving yourself or bunking with friends & family, what other frugal and family friendly spring break ideas do I have? I’m glad you asked! Here are 7 of my top money-saving tips for spring break that won’t brake the bank! 1. Stay Local. A staycation is a great way to discover something new within your hometown and save on the cost of travel. Tap into your local Convention & Visitors Bureaus and scour the web for those daily deal sites which can save you upwards of 70% off local experiences. 2. Encourage Competition. No, not amongst your family, but amongst potential destinations. It may take a little more time, but can save you a ton of money. Compare prices and then ask resorts and hotels if they will price match or even offer you a better deal to get your business. 3. Foster Learning. Just because it’s Spring Break doesn’t mean you can’t continue your kids’ education. For example, when we took our Disney Cruise last year, we made a Disney Cruise Lapbook that not only took advantage of learning about the variety of nations represented by crew members aboard, but also focused on the history of our ports of call. 4. Involve Your Kids. Involve them in the planning. Ask them where they want to go and what they want to do. Sometimes parents will plan elaborate vacations when in truth, their kids would be happy with something much more laid back that simply involves more time together as a family. 5. Account for Down Time. A major part of Spring Break travel is… the traveling! Regardless of whether you’re flying or driving, you need to account for longer than usual travel times and delays. Use this opportunity to create special travel bags, car games and snack packs for your kids. 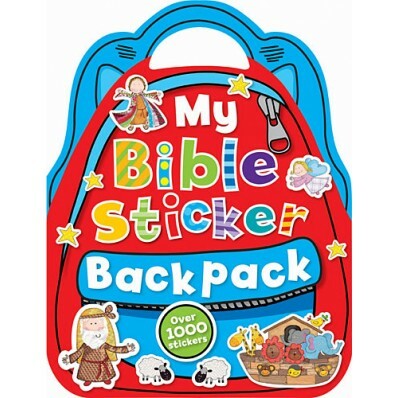 One that I especially love for littler ones is My Bible Sticker Backpack. Not only is it full of fun, but has a handle built into the book that makes it easy to hold onto for little hands. 6. Take Advantage of Natural Resources. Don’t forget about our national landmarks, parks and campgrounds. Not only will you save a lot of money, but this is the perfect time of year to start enjoying the outdoors again. 7. Keep Your Options Open. Regardless of where you go, try to pick a destination with a lot of options, not only to appease all members of your family, but also in case of a fluctuation in weather. Before to depart, look into both indoor and outdoor options at your selected destination so you know what to expect regardless of the cards the weather deals you. 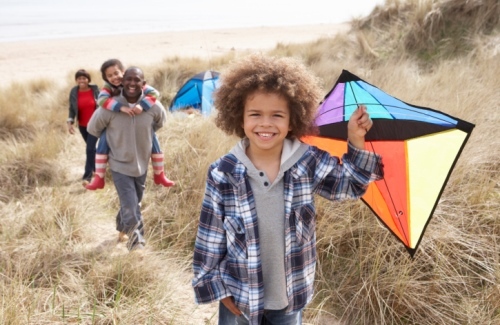 Whatever your family decides to do this Spring Break, just remember that this week is designed for you to spend time together and make more memories. Don’t get so wrapped up in the logistics of Spring Break that you forget exactly what it is…a break. Enjoy! What are some of your favorite (& frugal!) family friendly Spring Break ideas? Sami Cone, known as the “Frugal Mom” on Nashville’s top-rated talk show, “Talk of the Town”, is a blogger, radio host & TV correspondent mentoring others to live their dream life on less and pursue their passions. A published author and seminar speaker, she draws on her experiences as a writer, editor, university professor, performer, professional athlete, and pageant winner to help women realize their full potential in life. Listeners also can find her on the nationally syndicated “Family Friendly Morning Show with Doug & Jaci Velasquez”. Sami is proud to call Nashville home with her husband of ten years, Rick, and their two children (a daughter & son) who are 19 months apart. Follow Sami and her fabulously frugal family adventures on her blog, SamiCone.com, Twitter, Facebook, & Pinterest.